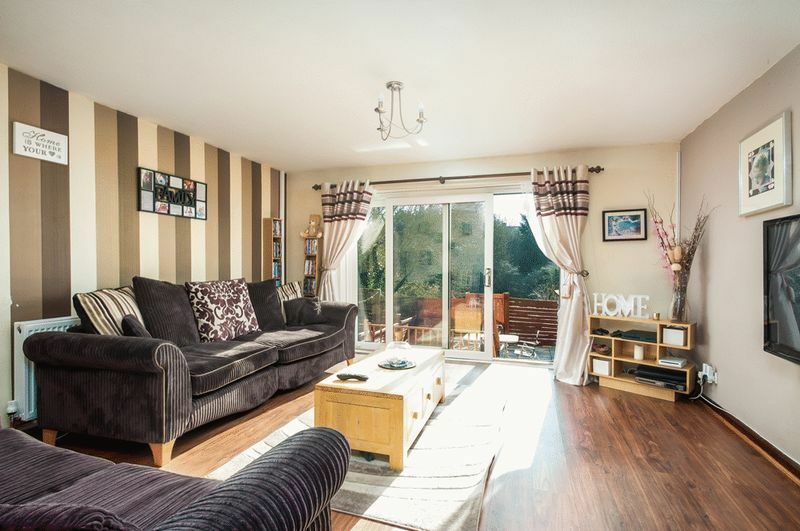 This lovely two bedroom family home is in a quiet residential street close to local amenities and offers stylish open plan living. Downstairs there is an open plan lounge, dining room and kitchen with patio doors from both the lounge and kitchen to the rear garden. The modern kitchen has a gas hob, electric oven, ceramic sink with mixer tap, fridge/freezer and a range of wall and base units and space and plumbing for a washing machine. There is a downstairs study/small second reception room. On the first floor are 2 double bedrooms, stairs leading the the fully carpeted loft space and cupboard housing gas recovery condensing boiler. The family bathroom has a modern 3 piece white suite including corner bath. Bedroom One has a handy shower cubicle and also has patio doors leading to a small decked roof terrace. Outside to the rear is a low maintenance garden nicely arranged with a patio area and hidden away at the top is a fire pit and decking to offer a secluded spot. To the front is ample off-street parking for 3 cars. The location is close to the amenities on Staple Hill High Street and local commuter routes.